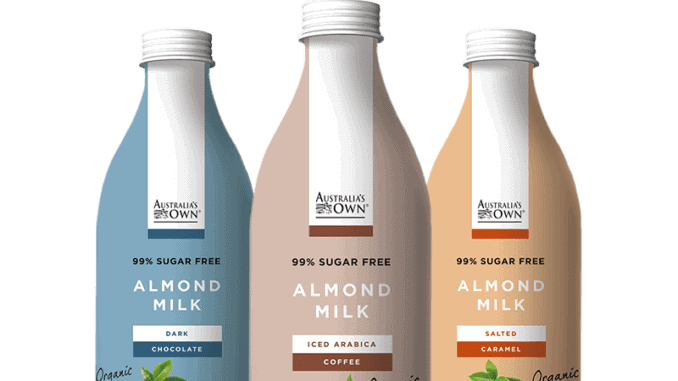 The growing demand for plant-based milks and dairy products in South East Asia and China is a driving factor for the growth into the Asian market for Australian Freedom Foods. 2017 – 2018 saw annual net sales for Freedom Foods increase by 34.5% to US$251m (A$353m). Their sales revenue for 2019 is expected to be in the range of US$ 356m (A$500m) to US$377m (A$530m). One of the most established brands by Freedom Foods in Asia is Australia’s Own, which comprises a range of plant-based beverages, including an organic selection. Due to their continued success and rapid growth, the company are now establishing new offices in Vietnam and the Philippines, which will be followed by a new office in Indonesia within the next six months. To expand their dairy and plant-based portfolio, Freedom Foods is looking at breaking into the functional food and drinks market with drinking yogurts and protein milks, which will be available under Australia’s Own brand in Asia.